If you're like most everyone else I know, you are now paying pittance for dietary transgressions in one form or another. Those that have been around this website for awhile know we completed a Whole30 cycle back in the Fall. We have just started another round after 6 weeks of excess during the holidays and completely getting off track. This time is harder so far, but we have determined to set a lifestyle resolution to do a Paleo/Whole30 most of the year rather than just a set time so we are pressing through! During our first Whole30, we found out that jicama, plantain chips and avocadoes are whole30 BFFs. 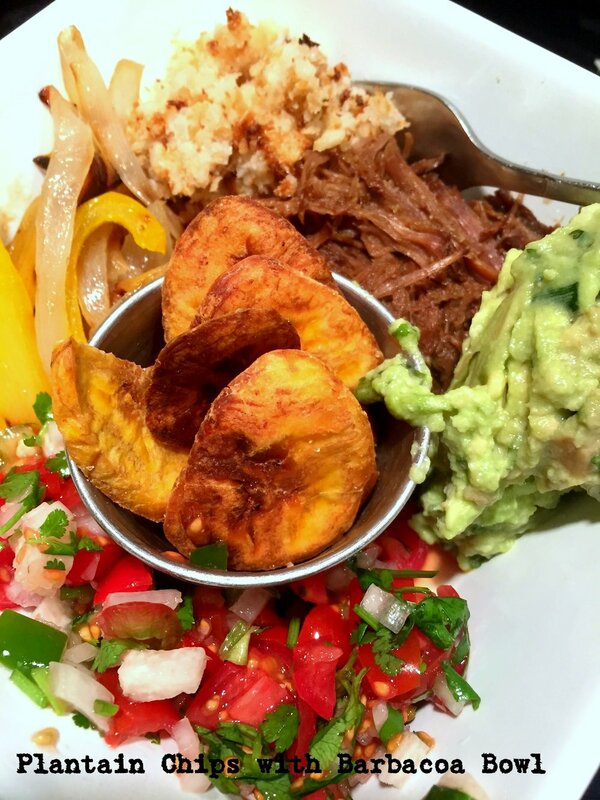 We used these ingredients to help feed our Mexican cravings regularly and we found we could make plantains a few different ways to cover what we were missing. 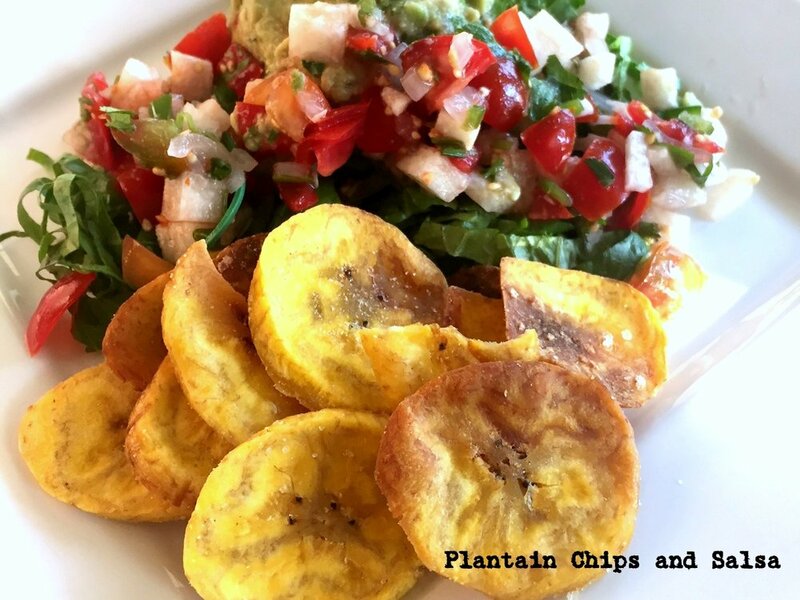 Whether you are doing Whole30, paleo or just simply want an alternative to tortilla chips, I wanted you to know why you need plantains as part of your diet. This is the first of a short series of posts about using plantains since each stage of ripeness has its own applications. Plus each post will cover different benefits of plantains. Make sure you have subscribed above (or in sidebar) so you can get the other posts and BONUS! when you subscribe you will get my Rock Star e-book with lots of secrets for how to easily transform your weeknight meals into something spectacular. While plantains are part of the banana family and look very similar, there are several differences that set them apart. Plantains are typically used as more of a starchy vegetable unless they are totally black, whereas bananas are only used when yellow (are only speckled black) as a sweet fruit. They are high in potassium like bananas, but have higher levels of vitamin A, vitamin B-6 and vitamin C. Plantains also provide high levels of magnesium and fiber than bananas and are lower on the glycemic index so you don't have blood sugar spiking concerns that come with bananas. Another important difference is that plantains are inedible if raw, though the typical way to consume a banana is raw. Cut off the ends with a sharp knife and cut a shallow slit down length of plantain. Peel back skin. If it is hard to remove still, cut a few more slits around plantain and remove one section at a time. Mine were fairly easy to remove. VERY thinly slice the plantains (about 1/8") and toss with the melted coconut oil then place in a single layer on the prepared sheet. Sprinkle with salt and even a little chili powder or Harry's Original if you want flavored plantain chips. Place in oven and set timer for 10 minutes. When time goes off, check plantains and if they are brown like this you can take them out. If they are not add a little more time then check them again. If some are brown and some aren't, remove the darker ones and bake the other until they are all about uniform. Besides color, you want them to be crispy, so if they are only slightly brown and not crispy, bake longer as well. They are ready to serve at this point. I served mine with a barbacoa bowl the first night then devoured a bunch more with guacamole and pico another night. Very thinly slice the plantains and toss with melted coconut oil on baking sheet. Arrange in a single layer and sprinkle with salt and/or seasoning. Bake for 10-12 minutes or until brown and crispy. If slices are a bit uneven, they may brown at different times, if so, remove the ones that are done and place remaining plantain chips in the oven until done. You can make as many of these as you want. The main thing is they have to be in a single layer, so how big your baking sheet is will dictate how many you can bake at once. I do not recommend baking two sheets at once, however.